Sleeping for four. Pop top roof. Compact size. You could say not much’s changed since the 70s. But it has (man). 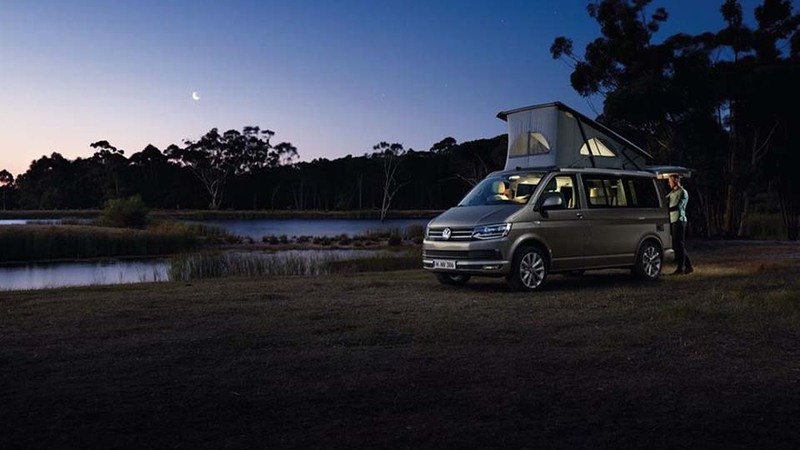 We’ve added all the creature comforts you’d expect in a modern motorhome, like a fully fitted kitchen, cozy beds, masses of storage and premium finishing. So go on, say goodbye to hippy-ness and hello happiness. Set up beds in seconds. After a long day exploring, there’s nothing better than returning to your new California to take things easy. The California Ocean's interior transforms to sleep four adults quickly and easily. The rear bench folds down to create a double bed. 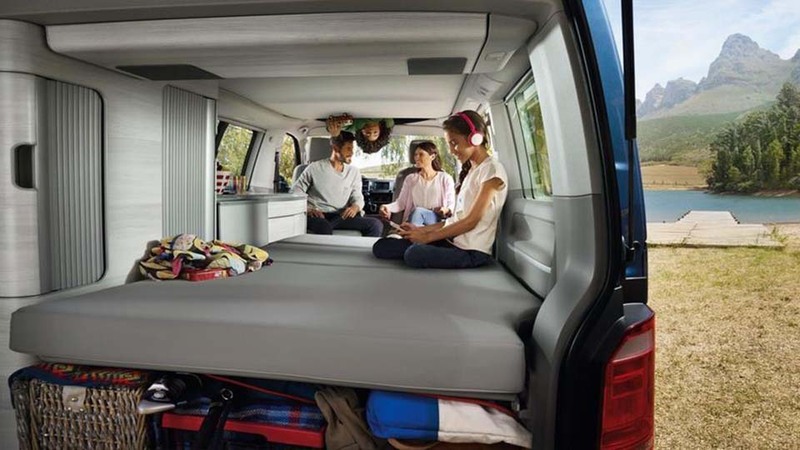 Lifting the roof reveals a second spacious sleeping berth. 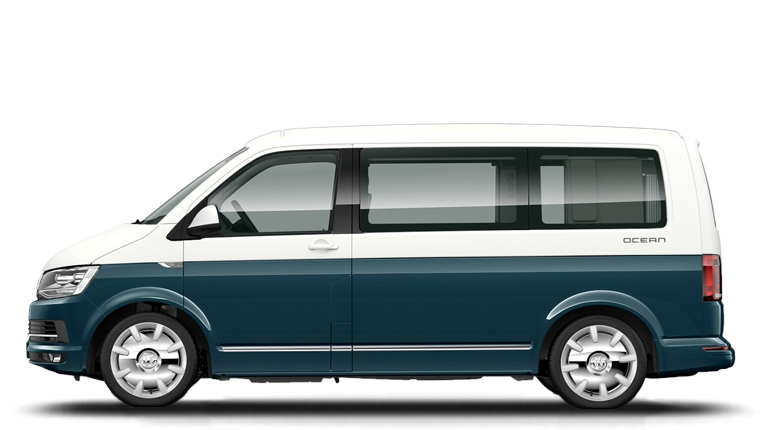 As you’d expect, the Ocean includes everything you’ll need - stainless steel sink, two-burner stove, temperature controlled cool/warm box, on-board fresh and waste water tanks, gas storage compartment, electric hook-up, four-berth accommodation, masses of storage and the all important pop-up roof that’s been a hallmark of Volkswagen campers down the ages. What’s more, everything fits together snugly, so there are no annoying rattles or squeaks while you’re on the move. Discover practical storage options. With a wardrobe and a ceiling storage box you'll have plenty of easily accessible storage space for clothing, luggage and leisure equipment. 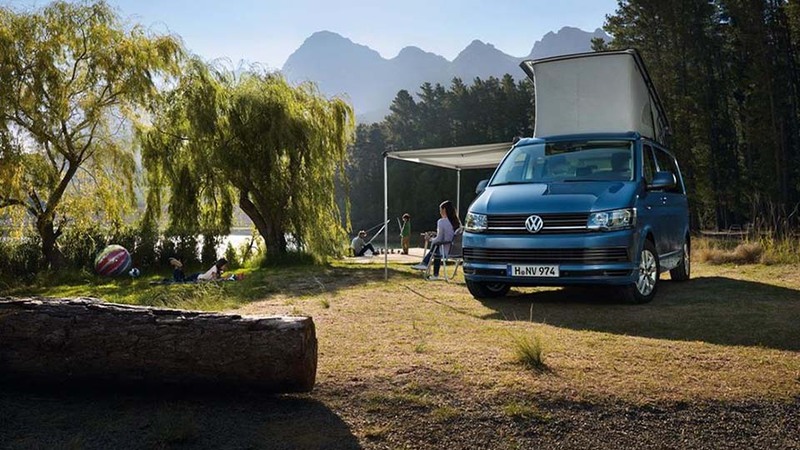 Whether at home or away, the California is the ideal travel and leisure camper van to make you feel right at home anywhere. 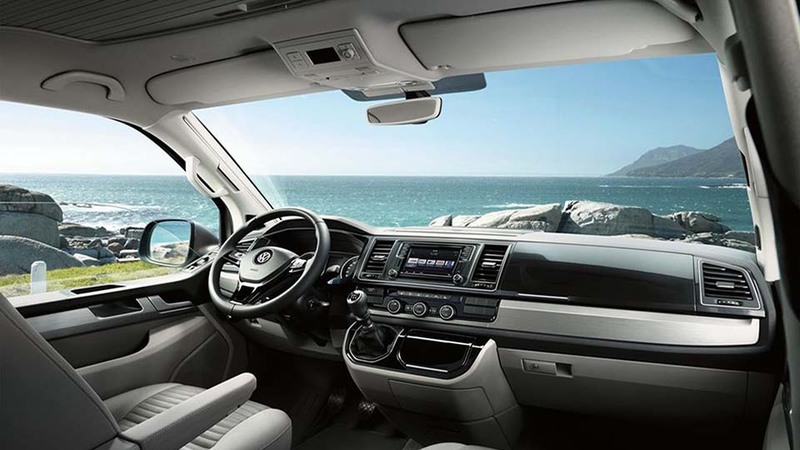 Experience the efficient engines, high-quality interior fittings, modern infotainment and driver assistance systems as well as the innovative mobile online services.